“Overdiagnosis & Cancer Screening: Challenges posed by Birds, Rabbits, and Turtles"
The pathologic diagnosis of “cancer” encompasses a wide variety of growth dynamics. Some cancers are rapidly progressive (the birds), some progress more slowly (the rabbits) and others grow so slowly that they would otherwise never bother people during their lifetime – or don't’ grow at all (the turtles). This heterogeneity poses tremendous challenges for early detection efforts. The birds are the most aggressive cancers – the cancers that have already spread by the time they are detectable. Screening can’t help with the birds; the birds are already gone. The rabbits are growing more slowly, they are the cancers that may be helped by earlier detection and treatment. The turtles don’t need to be found, because these cancers aren’t going anywhere. Unfortunately, screening is really good at finding turtles. This heterogeneity also makes screening very counterintuitive. You might think screening can only lower your risk of getting cancer, but it turns out that it can be the fastest way to get cancer. You might think that all the “cancer survivors” in the news (and, perhaps, in your neighborhood) – those individuals whose cancers were found early by screening and who are now doing well – provide powerful evidence that screening helps save lives. But it turns out that these survivors are often less likely to be evidence of screenings benefit – more likely to be evidence of its harms. Cancer screening involves trade-offs. Screening offers the potential benefit of avoiding advanced cancer and subsequent cancer death for a few. But it also produces the harms of false alarms, overdiagnosis and unnecessary treatment for many others. Because different individuals value these benefits and harms differently, there is no single “right” answer. That’s why screening is a choice, not a public health imperative. 1. Recognize the heterogeneity within the pathologic diagnosis of “cancer” and the resulting implications for the natural history of the disease. 2. Explain why early cancer detection efforts disproportionately detect more slowly progressive forms of the disease and can produce the problem of overdiagnosis. 3. Identify those cancers in which the efforts to detect the disease early and the existence of a disease reservoir have combined to produce overdiagnosis (i.e. cancers of the breast, prostate, thyroid and kidney as well as melanoma). 4. Anticipate the range of misleading feedback associated with screening: more cancer cases (perhaps even labeled as an epidemic), more “favorable” stage distribution, higher 5 and/or 10-year survival rates, and more “survivors” who feel they owe their lives to the test. Dr. Welch is a general internist and professor of Medicine at the Dartmouth Institute for Health Policy and Clinical Practice in the Geisel School of Medicine. He is also a professor of Public Policy at Dartmouth College and a professor of Business Administration at the Amos Tuck School. For the 25 years he has been practicing medicine, Dr. Welch has been asking hard questions about his profession. His arguments are frequently counter-intuitive, even heretical, yet have regularly appeared in the country's most prestigious medical journals — Annals of Internal Medicine, Journal of the American Medical Association, the New England Journal of Medicine and the Journal of the National Cancer Institute — as well as in op-eds in the Los Angeles Times and the New York Times. He is the author of 3 books – each expanding on the argument of the one before it. Should I be tested for cancer? Maybe not and here's why (2004) deals with the narrow question of early cancer diagnosis. Overdiagnosed: Making people sick in the pursuit of health (2011) expands the discussion to include the early diagnosis of any disorder. His newest book “Less Medicine, More Health – 7 Assumptions that Drive Too Much Medical Care" (2015) expands the discussion explore other ways that too much medical care can cause harm – and is intended to be more approachable for general readers. Dr. Welch is very much part of the “Dartmouth School” that questions the assumption that more medical care is always better. His research has focused on the assumption as it relates to diagnosis: that the best strategy to keep people healthy is early diagnosis – and the earlier the better. He has delineated the side-effects of this strategy: physicians test too often, treat too aggressively and tell too many people that they are sick. 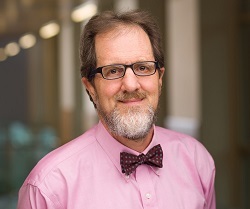 Much of his work has focused on overdiagnosis in cancer screening: in particular, screening for melanoma, thyroid, lung, breast and prostate cancer.